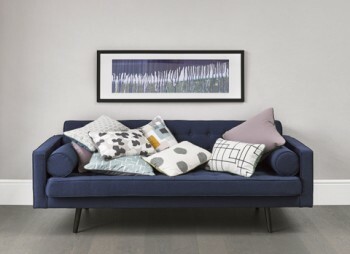 What makes the perfect second home? A three bed home, near the sea with a garden or terrace! New data released by Italian property portal Gate-Away.com has helped to shed light on just what it is that makes the perfect second home. Looking at properties being sought in the Le Marche region of Italy, the portal reveals that they have several characteristics in common, helping to identify the particular blend of features that make up the ideal holiday home. 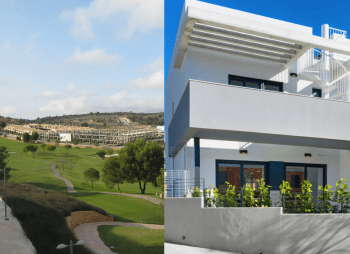 According to the new figures, the most popular properties are those located a few kilometres from the sea, slightly out of the most famous tourist spots. They also have a garden or terrace from which to enjoy the climate and local scenery, with 62.9% of enquirers on Gate-Away.com looking for outdoor space. Interestingly, pool is far from essential, with just 12.2% of enquirers including this as a requirement. The perfect second also has three bedrooms, ready for family and friends to share in the enjoyment of the property. 33.1% of enquirers were looking for a three bedroom home, compared to just 19.9% looking for two bedrooms and 17.8% looking for four. Italy is certainly a popular choice for second home owners. Several celebrities have picked up properties there in recent years, with Liam Gallagher being the latest star rumoured to be on the lookout for an Italian holiday home. Casa Tre Archi, the carefully restored, luxury holiday home in which Deborah Yackel has just purchased a one tenth share, certainly ticks all of the boxes when it comes to holiday home perfection: in close vicinity to the sea, three bedrooms and with a beautiful roof terrace. 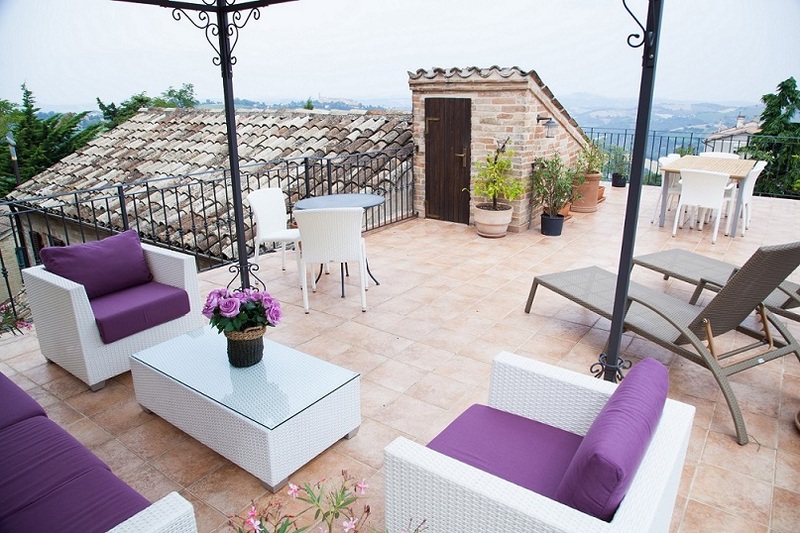 The property is located in the charming hilltop town of Petritoli, just 15 km from the breath-taking Le Marche coast. Along with three bedrooms and three bathrooms, the townhouse boasts a generously sized roof terrace, perfect for sunbathing, eating al fresco and admiring the views of the stunning rolling hills of the surrounding countryside. Just three fractions of Casa Tre Archi remain available, priced from £75,000, so those who haven’t yet secured their perfect second home are encouraged to act fast! Is Americans’ enduring romantic notion of Italy fact or fantasy? It’s a classic image – the sprawling, multi-generational Italian family all gathering around the dinner table outdoors in the sunshine to break bread together, with nothing but birdsong, olive trees and blue sky in the background. But is it the real deal in this day and age? This is one reason that Italy is so enduringly popular with visitors from the US. According to Travelzoo, the country is the friendliest destination in Europe to visit. Meanwhile the Globus Time to Tour survey highlights how keen Americans are to find out if the real Italy is equal to their romantic notions, finding that 93% of people take holidays in order to experience the places they’ve only read about, including the culture and the food. Indeed, the whole of Europe benefits from US visitors. According to Eurostat, visitors from the US make up 17.8% of tourist accommodation nights within the EU, the largest of any national group from outside Europe. Nor is it just hotel accommodation that Americans are interested in today. According to Italian property portal Gate-Away.com, when it comes to the Le Marche region of Italy, buyers from the US account for 12.79% of requests for property, second only to those from the UK (20.83%). 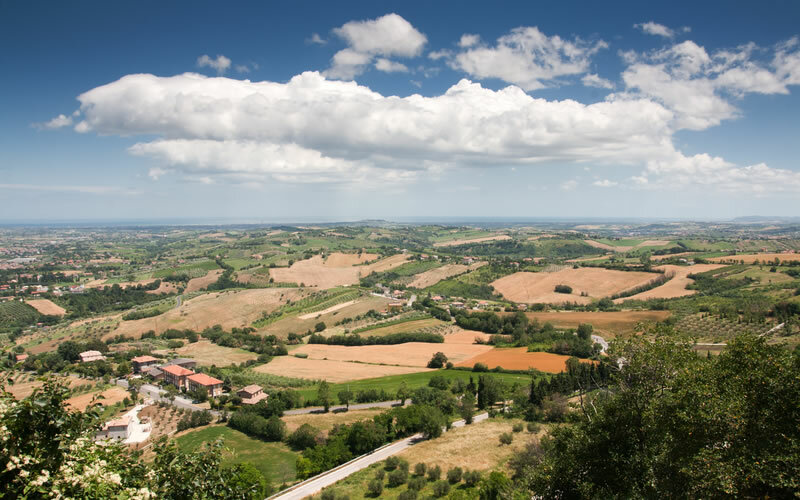 The figures are set against a backdrop of growing interest in Le Marche from all angles – January to September 2015 saw a 45% increase in the number of enquiries for property in the region from international home buyers, compared to the same period the year before. Part of Le Marche’s charm is its blending of romantic landscapes with fresh, seasonal cuisine and the kind of charm that is hard to put into words but that speaks to you as you sip a rich, strong expresso while the local church bell tolls and a gaggle of happily chattering Italian children pass the tiny café in which you are sitting. American romance novelist and TV soap opera writer Leah Laiman has sought to capture the essential spirit of Le Marche in her latest novel, Lingua Terra. The book tells the tale of an American woman who moves to Le Marche for a year after losing her job in New York. The romantic tale is interspersed with recipes from Michelin-starred Le Marche chef Lucio Pompili. It’s an unusual combination – a romance novel and a collection of local recipes – but one that somehow feels entirely right to those who are familiar with the region. American buyers – and indeed those from elsewhere in the world – looking to own their own slice of Le Marche have been delighted to come across the Appassionata team. Family-run and passionate about Italy, Appassionata restores and renovates tumbledown Italian properties, turning them into stylish fractional ownership holiday homes. Buyers receive a one tenth share, entitling them to five weeks’ use of the property per year. Just like a property that is owned outright, the share can be passed down to the next generation as an inheritance. However, unlike with a fully owned second home, buyers don’t need to worry about cleaning and maintaining the property when they’re not using it as all of that is taken care of by the Appassionata team. As Le Marche continues to enchant visitors from the US, demand is rising for Appassionata’s properties. 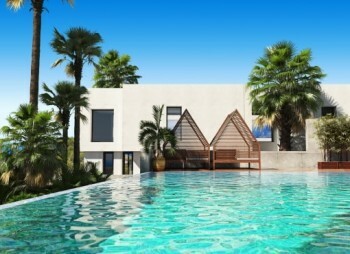 Their third luxurious holiday home, Casa Tre Archi, has just three fractions still available, priced from £75,000. The three bedroom property fits perfectly with that enduring romantic image of Italy, from the traditional touches in the spacious interior to the large roof terrace that is perfect for al fresco family meals in the sunshine, against the backdrop of the gently rolling hills. Italy – it’s cheaper than you think! Mention that you’ve been on holiday to Italy and within a couple of minutes someone is bound to ask if it was expensive there. Italy has a long-standing reputation as one of Europe’s pricier destinations, but the modern reality is actually very different. According to cost of living figures updated in October 2015 from Numbeo, two people can enjoy a three course meal in a mid-range restaurant for €50, relaxing with a regular cappuccino in a café costs just €1.33 and a mid-range bottle of wine from the supermarket costs €5.00. Italy’s cost of living is falling. While buying gelato in a touristy area can still result in an eye-watering bill, for those who explore the Italian countryside and embrace the culture of home-cooking with local, seasonal produce, Italy is no longer an expensive place to spend time. The scale of the decrease in prices has been quite dramatic. In mid-2015 the Numbeo Cost of Living Index found that groceries in Italy cost 58.34% of the price paid for the same items bought in New York. Just a year earlier, the Italian groceries came in at 84.75% of the New York price, a significant change. Dawn is speaking from personal experience. Her family-run business has so far renovated three Italian properties. The third of them, the charming townhouse known as Casa Tre Archi, has just three shares left for sale. Owners are entitled to use the three bedroom property, which comes complete with roof terrace with stunning views over the town of Petritoli and the surrounding countryside, exclusively for five weeks each year. Fractions are priced from £75,000 and can be passed down to future generations, just as a property that is owned outright would be. Dawn’s love of restoration work and interior design means that the family are already working on their next project: Il Riposo. The four bedroom, four bathroom home is situated in the peaceful hamlet of Patrignone. A delightful bar/restaurant just two minutes walk from the property offers the ideal place to relax over a lengthy meal of organic, locally produced food and wine. The bustling town of Montalto is just five minutes’ drive away, providing Il Riposo’s owners with everything they could wish for. When finished, Il Riposo will offer owners a traditional Italian home, complete with a small, terraced, walled garden. The Appassionata team are firmly committed to using local materials and local craftsmen – their restorations pay homage to the skills and traditions of previous generations. Previous houses have included bespoke, hand-made kitchen cupboards, reclaimed tiles and stunning light fittings made by a local artisan working out of a tiny studio, who learned at his grandmother’s knee. At Casa Tre Archi, it is the unique blend of convenient town location with plentiful outside space that has so pleased those who have bought fractions. A shady, bijou kitchen terrace provides the ideal spot for a morning coffee. The first floor terrace provides a magnificent view of Petritoli’s ancient walls, including the three historic arches for which the property was named. The spacious roof terrace includes elegant loungers and a canopied gazebo – perfect for lazy days spent eating, drinking and relaxing in the sunshine. And it’s all within strolling distance of shops, restaurants, cafés, pretty churches and more. Since the World Expo first opened its doors in Milan in May 2015, visitor numbers to the Italian city have increased by more than 600%, according to the latest data from travel agency eDreams. The impact on the city has been significant, but heightened visitor numbers have not just impacted on Milan in isolation. Dawn is referring to the rolling hills, deep blue skies and abundant flowers surrounding the medieval hilltop town of Petritoli, where Appassionata’s luxury townhouse, Casa Tre Archi, is located. The property boasts outdoor space at every turn, with accommodation split across three levels. Three bedrooms and three bathrooms make the fractional ownership property ideal for use as a family holiday home as well as a place to stay on a break with friends. Owners are entitled to five weeks’ exclusive use of the property per year, with prices starting from £75,000. Many of those visiting Le Marche have also taken in Milan as part of their travels, with just 4.5 hours in the car separating the two. The World Expo there has attracted tourists from across the globe and not least from China, which has the largest pavilion at the event. 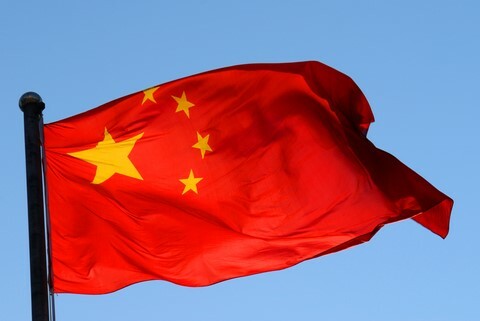 The number of Chinese visitors ranks third overall, closely following those from the US and France. With the largest number of outbound tourists of any country (the number should reach 100 million by the end of the year, according to the Chinese Tourist Agency), China is leading the world not only in visitor numbers but also in holiday spending. Chinese tourists currently spend around €75 billion annually, while the UN World Tourism Organization has projected that China will account for 22% of global tourist expenditure by 2020. According to China National Tourism Administration data, Italy is Chinese tourists’ favourite holiday destination within Europe and the Italian government has been courting the Chinese market for some time. Prior to the expo, the Italian consulate in Shanghai committed to a 36 hour turnaround time for all visa applications for travel to Italy. Italian companies are also joining the effort, by applying for China Tourism Academy certification. The ‘Chinese Welcome’ certification rates companies and services on how welcoming they are to Chinese tourists, such as the Italo NTV train company, which displays information signs in Chinese as well as Italian. As Chinese tourist numbers continue to increase, those countries ahead of the curve in welcoming them are set to benefit hugely and within Europe it is Italy that has taken pole position. The expanding Italian economy is great news for almost all businesses (with the possible exception of debt collectors! ), but it is on smaller businesses that its impact is being felt the most. Micro businesses and artisanal suppliers in rural areas, away from the opportunities created by big cities and mass tourism, have struggled over the past several years. Many of them are run by just one or two family members, with skills passed down to them through the generations. The Bank of Italy has forecast 0.7% GDP growth for the country this year and 1.5% for 2016 and a fall of unemployment by 1.5% by the end of 2016. But these headline numbers mask the true tale of Italy’s small businesses. It is in areas like Le Marche where the impact of the expanding economy can best be seen at grass roots level. 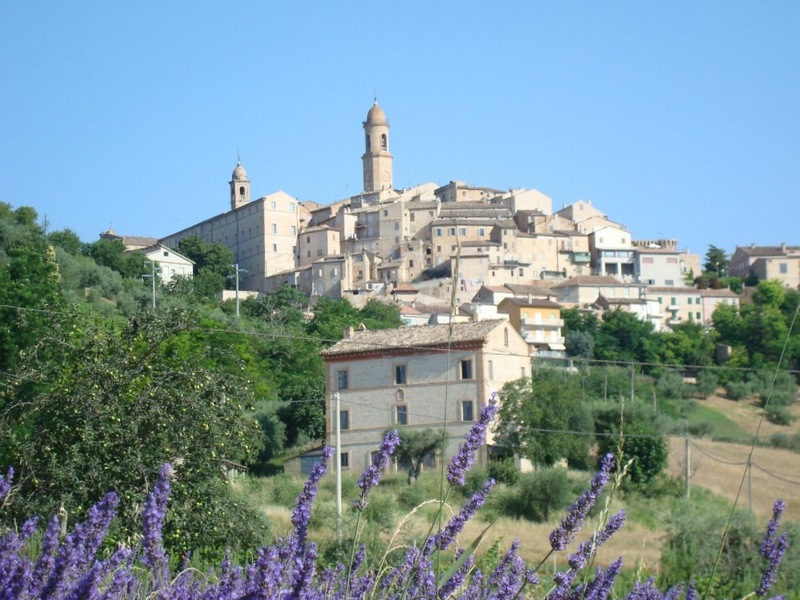 In the charming Le Marche hilltop town of Petritoli, local resident Dawn Cavanagh-Hobbs is an excellent example of the impact that economic changes are having. Dawn runs fractional ownership holiday home company Appassionata with her husband, daughter and son-in-law. The company’s third fractional ownership project, the luxurious Casa Tre Archi, has proven popular with buyers looking for a taste of the ‘real Italy,’ rather than the touristy offerings of more commercialised destinations. Now, the Appassionata team has just taken on its fourth project – the renovation and transformation of a house in the pretty hamlet of Patrignone. The decision has a knock-on effect for businesses in the local area. Builders and craftsmen have already been engaged to undertake some of the larger elements of the restoration and the scaffolding has already gone up. As work progresses, Dawn will also commission a number of bespoke pieces to be manufactured by her key supply team – a collection of local craftsmen working from sheds and garages who alone or in pairs are producing some of the finest quality goods imaginable. Custom designed, exquisite chandeliers and slim, elegant wrought iron stair rails are two of the products that will be commissioned for the new holiday home. The lights are made by self-taught artisan Alfio Giuffrida, who spent his childhood playing at the feet of his mother and grandmother while they made lampshades. The stair rails come from the Brinci family, whose tiny blacksmith business has been running for more than 200 years. Other bespoke items will include pottery from brother and sister team Annamaria and Emanule Bozzi, with Grandfather Mario sitting at the pottery wheel to ensure the younger generations keep tradition alive. Nor does the impact of the economic progress stop there. Appassionata’s fractional model means that owners get five weeks’ exclusive use of the property per year. With ten sets of owners each staying for a week, five times per year, that means 50 sets of flights, hire cars, spending money and so forth. The positive impact is felt by restaurants, cafés, local markets… all those small businesses that serve to give an area its character and its history. While the headlines talk about forecasts and percentages, this is the human way in which Italy is really growing – one tiny business at a time. Casa Tre Archi has shares are available from £75,000. For more information visit www.appassionata.com or contact the Appassionata team on +39 33154 13225. Autumn is a variable concept. In the UK, it means nights drawing in, plunging temperatures and sudden unexpected squalls that leave you cursing your foolishness for leaving the house without an umbrella. In Italy, the nights are also drawing in, but that’s really where the similarity ends. The autumn months are a wonderful time to enjoy Italy at its best. 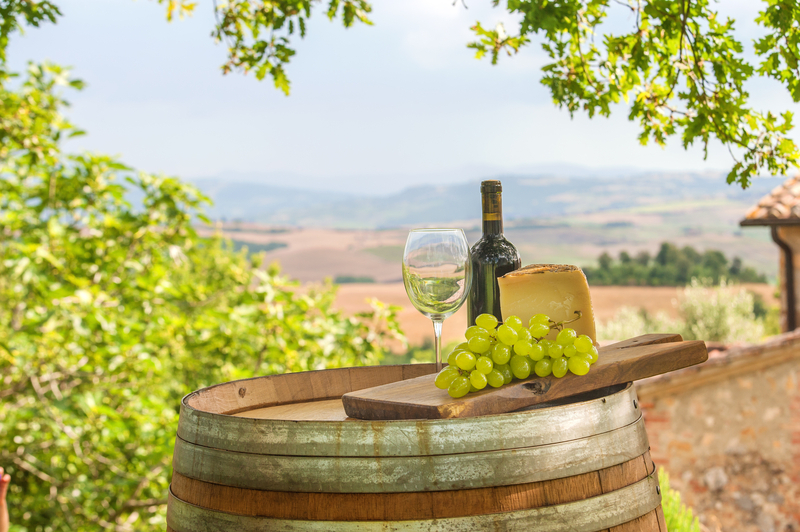 Not only does it offer the promise of reasonably consistent sunshine, but less touristy areas come alive with a wealth of seasonal local treats that will have foodies desperate to pack up their lives in the UK and head to Italy on a one-way ticket. As well as a host of regular markets and the ability to buy fresh fish directly from fishermen at the local beach, Le Marche offers a number of food festivals over the autumn months. From the wild fennel festival at the end of August, through the chestnut festival in October to the cheese festival in November, the area is awash with delicious flavours. Le Marche is also home to some of Italy’s most well respected restaurants. Madonnina del Pescatore, near Ancona, is one of the finest dining establishments in the country, while its nearby offshoot, Il Clandestino, serves Italian sushi from a shack and enjoys an incredible local reputation. It is in Petritoli that Dawn’s family business, fractional ownership company Appassionata, has renovated their latest project, Casa Tre Archi. The luxury holiday home is a three bedroom townhouse so entwined in Petritoli’s history that the ancient, curved turret wall of the town’s fortifications is a feature of its living room. With a traditional style kitchen and three outdoor areas, including an expansive roof terrace, the charming home cries out for owners to enjoy preparing and savouring local delicacies. Owners of Casa Tre Archi are able to use the house exclusively for five weeks every year. Shares are available from £75,000. Dawn Cavanagh-Hobbs, of luxury fractional ownership holiday home company Appassionata, lived in the UK and the US before settling down in Italy. She feels passionate about promoting Europe’s unique charms. This sense of history certainly pervades Appassionata’s latest holiday home, Casa Tre Archi (fractions available from £75,000), which features the curved turret wall of the town’s fortifications as part of its living room. Within the property, exposed brickwork blends beautifully with modern, bespoke lighting, creating a wonderfully ambient mix of old and new. Nor is it just the appeal of history that is bringing so many visitors to Europe. Everything from London’s theatres to Portugal’s beaches serves to make Europe one of the world’s most varied and exciting holiday destinations. Last year, 38.5 million UK residents set out to explore Europe on their holidays, according to the Travel Trends 2014 report from the Office for National Statistics (ONS), spending some £24.4 billion – up 4.5% from 2013. The continent attracts extensive interest from locations that are further afield, as well as domestic travellers, with the Long-Haul Travel Sentiment Survey reporting that four in five Chinese, Russian, Brazilian and US citizens who were planning to travel long-haul this summer planned to make Europe their destination. Enjoying nature and scenic landscapes, visiting famous landmarks and enjoy historical and cultural heritage were all cited as reasons for Europe drawing their interest. The European Travel Commission survey of travel trends in Europe showed 4% growth in international arrivals and overnight stays in Spain for the first five months of 2015, evidencing the effectiveness of its distinctive offering. Italy also showed positive growth (4%), as did the majority of European destinations. Albania, just across the Adriatic Sea from Italy, is one country enjoying the heightened demand. 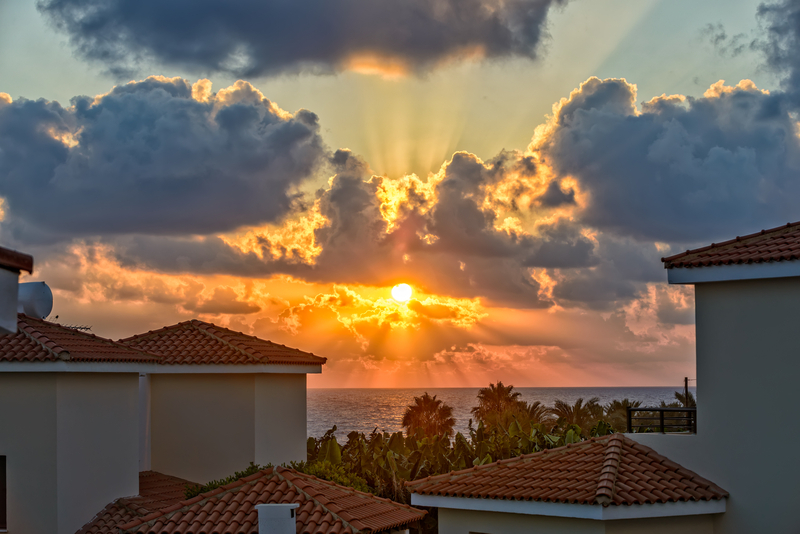 Traveller interest there has increased so significantly that the country is developing one of the Mediterranean’s most luxurious and desirable resorts at Lalzit Bay Resort and Spa. The resort masterplan has been created by world international architects Woods Bagot and will feature first class accommodation and leisure facilities with cutting edge design, using traditional and sustainable materials. 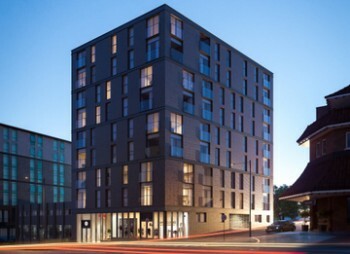 All property will be built with a focus on exceptional quality and attention to detail, with everything that holidaymakers could wish for all on site, from shops and sports facilities during the day, to restaurants and a range of funky bars and clubs for when evening falls. From a British perspective, four of the top five countries where holidaymakers are spending their money are within Europe: the ONS reported the top five countries by expenditure as being Spain, the US, France, Italy and Portugal. Chinese visitors in particular are increasingly falling for Portugal’s charms, including its ‘golden visa’ programme, which grants residency to those spending in excess of €500,000 on property. With luxury coastal villas in abundance along its 1,793 km long coastline, such as this four bedroom seafront villa with hot tub in Praia da Luz, which is on the market for €825,000, Portugal certainly has plenty to offer those looking to pick up a high end property with scenic views. When it comes to investment, Berlin is also generating serious interest right now. The German capital’s buy-to-let market is booming. According to the JLL Residential City Profile Berlin – 2nd half-year 2014, the city saw almost €2 billion of investment in residential properties and portfolios in 2014, marking it out by far as the most popular German investment location so far as residential property is concerned. 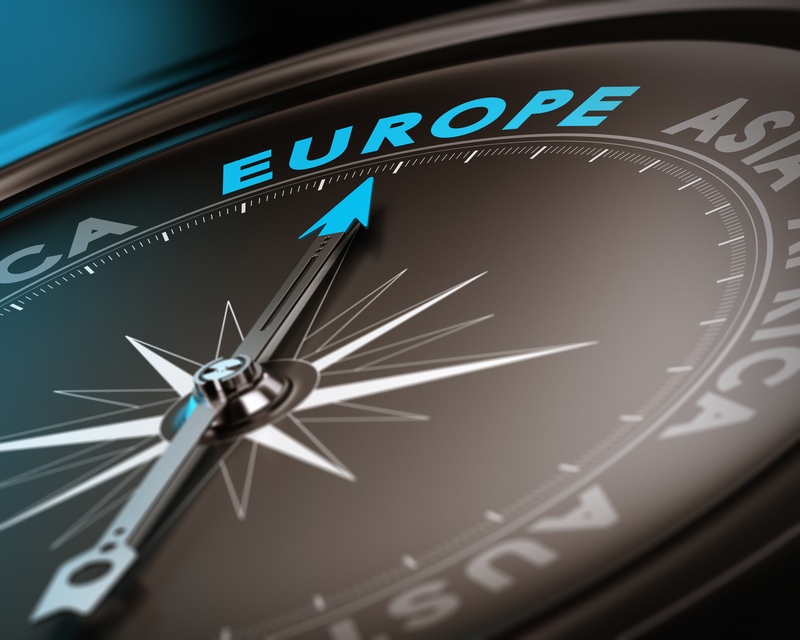 As well as booming investment, the positive start to 2015 for Europe when it comes to travel looks on track to continue for the rest of the year, according to traveller intelligence from Forward Keys. Based on bookings processed by travel agencies worldwide (both online and offline), that data shows an 8.3% increase in on-the-book reservations in mid-July for the rest of 2015, over the same period the year before. The appeal of Europe’s scenery, history and culture is here to stay. As the seasons turn, rural Italy offers one of Europe’s most attractive holiday destinations. The sunlight loses the ferocity of its mid-summer heat, yet still provides long, warm days that are perfect for enjoying the outdoor lifestyle. Plump grapes swell and sweeten on the vine as the harvest approaches, while olives fatten invitingly ready for the winter months. Eating outside is an almost obligatory pleasure and in areas like the Le Marche region the rolling hills and distant, towering mountains look at their best in the autumn sunlight, inspiring painters to grab the nearest canvas and get to work. It was the outdoor lifestyle that Nick and Frances were so delighted with upon their first visit to Le Marche. The region benefits from a huge expanse of Adriatic coastline as well as the Sibillini Mountains and National Park. From late summer swims in the clean coastal waters to rocketing down a mountainside on a snowboard, the area offers something to suit every taste and budget. For the McCaffreys, the hiking trails of the Monti Sibillini National Park offer a wonderful way for them to enjoy the great outdoors with their three grown up children. New research from the National Trust has revealed just how important that outdoor time is. 85% of those surveyed cited playing outside as one of their greatest childhood memories, yet the survey found that 54% of today’s children (aged 7-12) spend less than an hour outside each day. For 25%, outdoor time totalled less than 30 minutes daily, yet their parents spent an average of two hours 34 minute outside each day during their own childhood. The latest Appassionata holiday home, the three bedroom, three bathroom townhouse Casa Tre Archi, maximises the opportunities for enjoying outdoor space, with a bijou terrace tucked behind the kitchen, a generously sized first floor terrace off one of the bedrooms and a 50 foot roof terrace at the very top. With elegant loungers and a beautifully canopied gazebo, along with views that stretch for miles around, it offers the perfect outdoor living space for the whole family to enjoy. Even when the first autumn rains arrive to finally break the heat of the summer, it is a delightful place to curl up under cover of the gazebo with a blanket and a hot chocolate, to watch the landscape transform as the rains sweep across it. The arrival of the winter months sees travellers flock to the Monti Sibillini National Park to try their hand at skiing, snowboarding and other winter sports, but autumn in the great outdoors is no less exciting, with horse riding, mountain biking, hang gliding, paragliding and climbing all available to those looking to make the most of their time in the Italian sunshine. Shares in Casa Tre Archi are available from £75,000 for five weeks’ exclusive use per year. New data from the Italian property portal Gate-Away.com has revealed a 92% surge in enquiries for property in the central Le Marche region, the unspoiled Italian location that is a hit with visitors from around the world. The H1 2015 enquiry figure was 92% higher than that of H1 2014 and meant that Le Marche accounted for 6% of overall requests. 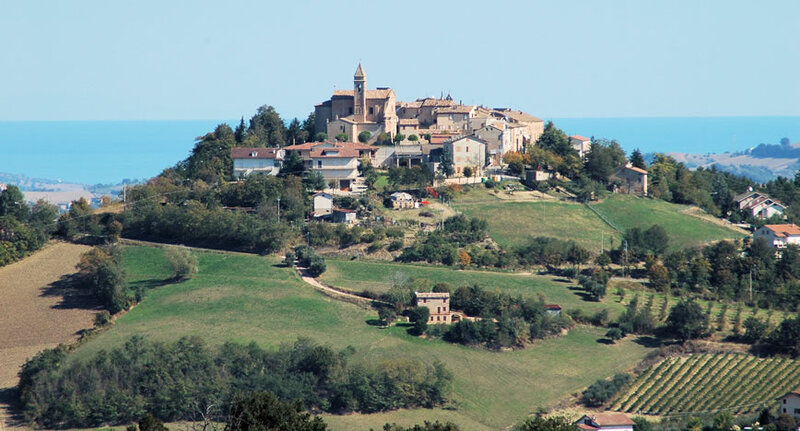 Dawn is one of a growing number of Brits to have lost her heart to Le Marche. She moved there with her family in 2007 and is now helping others to follow their own Italian dream through her luxury fractional ownership business. Owners buy a one tenth share in a property, which they can use exclusively for five weeks per year. For many owners, it is not just a purchase for themselves, but a legacy for their children. US buyers are also increasingly enchanted by Le Marche. According to the Gate-Away figures, 18.2% of enquiries into Le Marche homes in H1 2015 came from the UK and 14.5% from the US. 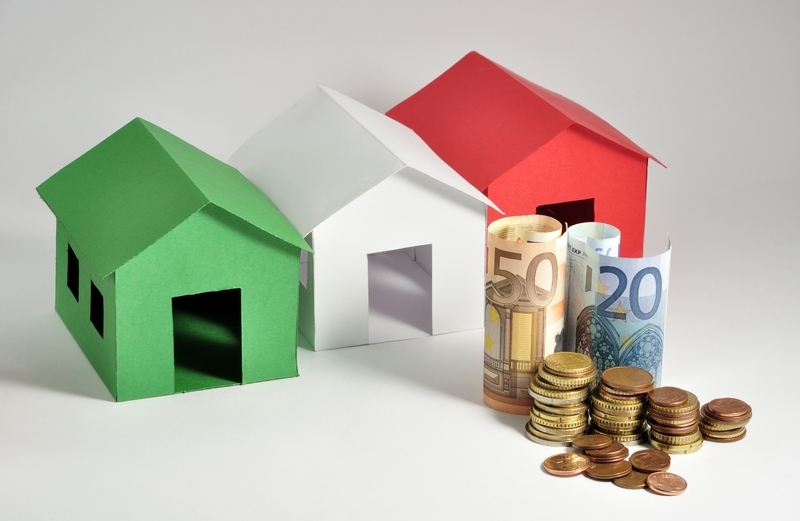 Homes between €100,000 and €250,000 accounted for the lion’s share of enquiries, at 30.4%, but homes under €100,000 came a close second, with 29.7%. The figure adds weight to the fractional ownership model that the Appassionata team is operating. Owners get to enjoy a luxurious holiday home that is far larger than they could afford to buy outright, at an affordable cost. They do so without having to worry about upkeep, maintenance or cleaning – every time they arrive to use their Le Marche home, they simply have to unpack their cases and begin enjoying their holiday. The three bedroom, three bathroom Casa Tre Archi is the third of Appassionata’s fractional holiday homes and is already proving popular. The townhouse follows on from the success of the two countryside properties that were Appassionata’s original Le Marche project. It is in just such an area as this that Appassionata’s next luxury holiday home will be awaited. Dawn is keeping details firmly under wraps at the moment, though she did reveal that it will be many months before the tumbledown building has been sufficiently nurtured for its details to be shared with the wider world. 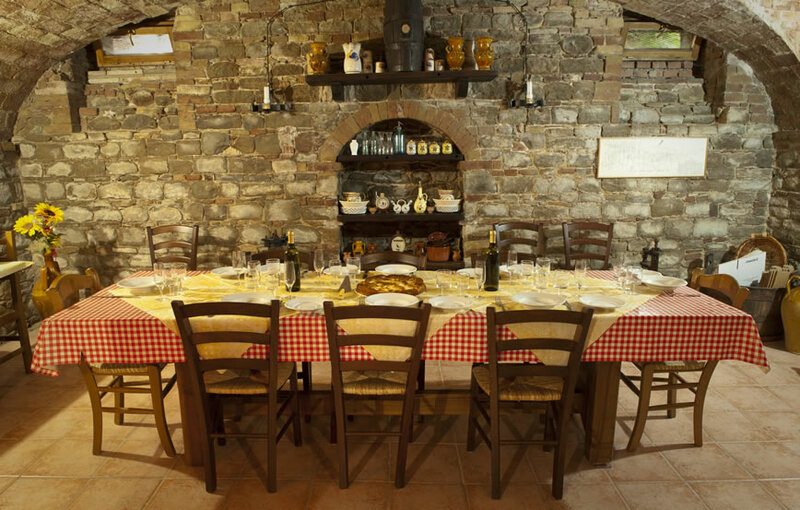 For those who cannot wait, inspection trips to Casa Tre Archi can be arranged directly with Appassionata, so buyers who want to be part of Le Marche’s rise to international fame can get in ahead of the crowds.